"Every time you think the show—Everlasting, UnReal, or both—has gone as low as it possibly can, it somehow sinks even deeper," says Gwen Ihnat. "This is an all-star, co-ed season of Everlasting that kicks off with 'Hump Or Dump,' in which the men rate their female counterparts by their looks, and dump them into a muddy pond if they’re found lacking. Hulu’s similar dumping of these final episodes, just a few months after season three, makes a lot more sense now." 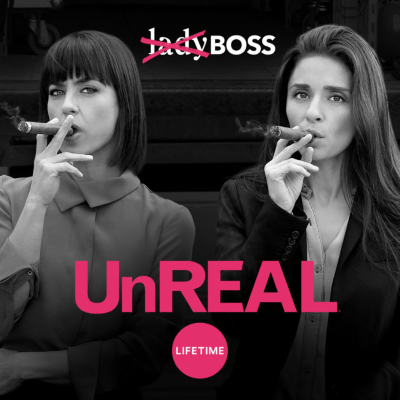 ALSO: Creator Sarah Gertrude Shapiro says UnReal was essentially a Hulu show because few were watching on Lifetime.